Quality legal advice and counsel to help you plan ahead to protect yourself, your loved ones, and your property. Welcome to Cleere Law Offices, P.C. 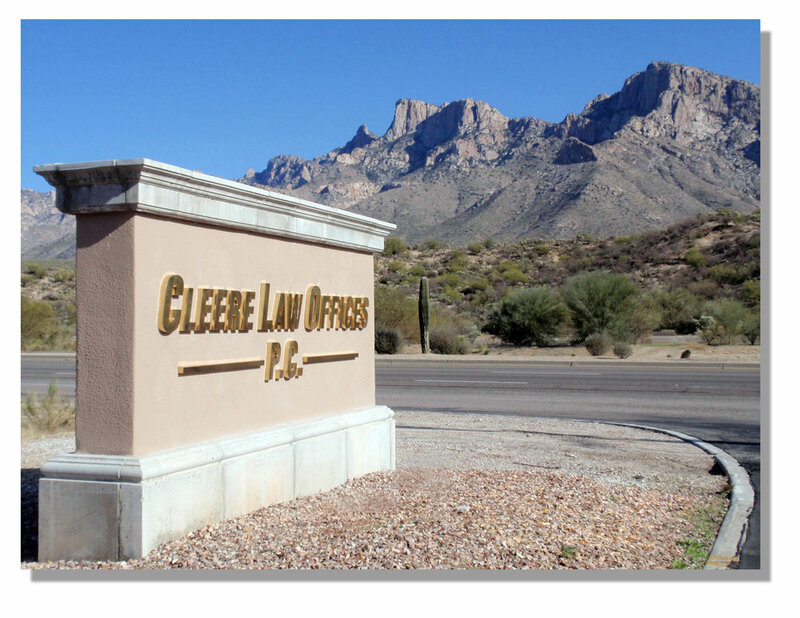 Robert F. Cleere is a graduate of Georgetown University Law Center and has over 40 years Arizona legal experience. Kathy Cleere is a graduate of the University of Nevada, Las Vegas Boyd Law School. She has been practicing law in Arizona since 2009. We offer legal services to Oro Valley, Northwest Tucson, Marana, Saddlebrooke and surrounding areas in the fields of estate planning, trust administration, and probate administration. With us, you can expect to receive experienced counsel and advice, quality legal services, and value-based pricing from a law practice in your community. We have special relationships with retirement communities near us, specifically SaddleBrooke One, SaddleBrooke Two, The Preserve at SaddleBrooke, SaddleBrooke Ranch, Sun City Oro Valley, Heritage Highlands at Dove Mountain, and Sunflower. From our offices in Oro Valley, Arizona, we and our experienced and friendly support staff focus on maintaining strong, enduring relationships with our clients, their families and loved ones, while working as a team with each client's other professional advisors.